A 32-year-old Nigerian national, who cheated several people by promising to deliver kidneys for transplantation, was arrested by the Kolkata police in Bengaluru on Tuesday October 5 . 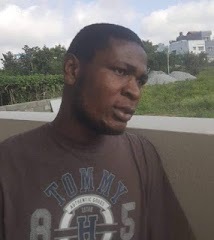 The accused identified as David Ujma Uba was arrested for cheating nearly 20 people and duping them of so much money. Police said Uba came to India four years ago on a tourist visa. He stayed in Kolkata, created a fake hospital website and issued an advertisement, asking people to contact him regarding kidneys for those requiring transplantation. However, he failed to deliver the kidneys, even after the money was transferred to his bank account. Police said within a span of one month, the Nigerian cheated nearly 20 patients. The victims registered a complaint with the Kolkata cyber crime police about the fraud in April. After knowing that police are after him, he moved to Tamil Nadu. Tracing his call detail records (CDR), the police reached Tamil Nadu. But, Uba came to Bengaluru four days before his arrest and was staying at his friend’s house at Nagenahalli Dinne near Kothanur. Tracking the CDR, the Kolkata police reached his friend’s house on Tuesday, arrested Uba and took him to Kolkata the same night for interrogation.